Three prominent series of Eastern European bootleg action figures were released carded during the vintage years: a Turkish Uzay line, a Hungarian line, and a Polish line. 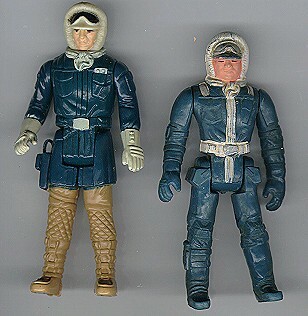 This photo shows an articulated Han Hoth, a figure which would have originally been carded, much like the figure seen here. Like most of these Polish figures, this one has Biker Scout limbs.